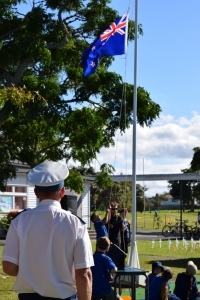 At the end of term 1, there was an ANZAC assembly that was held at Onerahi Primary School. 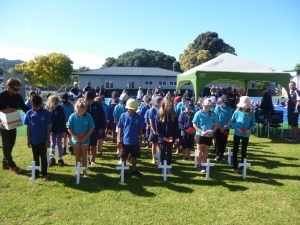 Onerahi School celebrates this because they want to respect the people who fought in war for New Zealand. There were three men who had once experienced war. They got up and spoke about what it was like. Kapa Haka had their turn, and they performed amazingly. Parents, caregivers, friends and family came and supported the men who told us about war, and they came to be part of our special assembly. Matt Watson, who was dressed smartly in his uniform, played the ‘reveille’ and ‘the last post’ on the bugle wonderfully! 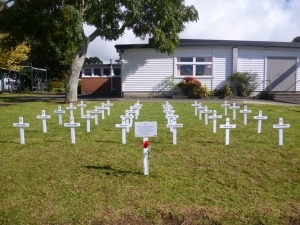 Some classes placed poppies by some crosses that had been put out by room 19, 20 and 21. The crosses marked the place of some brave soldiers. A poem called ‘In Flanders Fields’ was beautifully read out by Louie and Lauren. Here are some pictures of the crosses. Good job Asha. You described it really well and I felt like I was there! I really liked that you used comments from other people – it adds a lot of interest. Look forward to reading more from you………..
Grace White on The Recipe for KawaKawa Balm. Jeannette harris on The Recipe for KawaKawa Balm. PSexton on The Recipe for KawaKawa Balm. sarah on The Recipe for KawaKawa Balm. 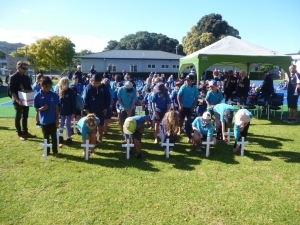 Copyright © 2018 Onerahi School. All rights Reserved.